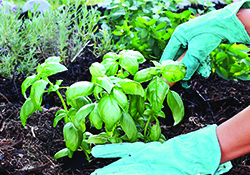 Join Master Gardener and Herb Society of America Member Caren White, and learn how to look at herbs in a completely different way from the usual culinary/medicinal uses. I want to learn more. 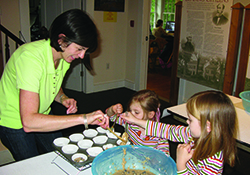 Make peach muffins using flour ground at the Cooper Gristmill. While the muffins are baking, take a tour, and learn the history of the mill. For more info, click here. 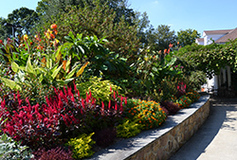 Step onto the beautiful grounds of The Frelinghuysen Arboretum for a leisurely, guided tour focusing on the seasonal blooms in the magnificent gardens, followed by a delicious tea at Matilda’s Café. Check it out here. Don’t miss out on this haunting lecture! Spend the evening exploring the paranormal with Specter Seekers Paranormal Society's Founder and 25-year veteran paranormal investigator Frank Rigillo, and discover the science of ghost hunting. To learn more, click here.